Bookkeeping Services in San Diego: Krupa Patel of Thefeld & Assoc. A San Diego native, Elizabeth earned her B.A in Business Administration with a concentration in Accounting in June 2014 from Cal State San Marcos. 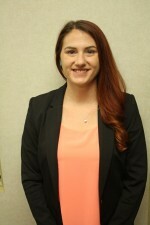 Since graduation, Elizabeth has continued to purse knowledge in public accounting, and is currently working towards obtaining her CPA license. At the firm, she works as a staff accountant, preparing tax returns, providing payroll services, compilation of financial statements and other responsibilities. In her free time, Elizabeth enjoys bike riding, spending time with family, and participating in local Ham Radio events.